A group of 17 political activists known as the Luanda Book Club have been sentenced to jail after being convicted of plotting to overthrow Angola's government, local media reported on Tuesday. 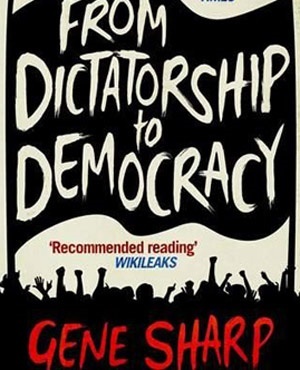 The group was arrested at a 2015 meeting where they met to discuss Gene Sharp's 1993 book "From Dictatorship to Democracy, A Conceptual Framework for Liberation." State prosecutors say they were planning a coup, independent news website Rede Angola reported. The book club members were found guilty of preparing a rebellion and criminal conspiracy in a packed, rowdy courtroom on Monday, the state-owned Jornal de Angola reported. The defence plans to appeal the decision, it reported. The activists were handed jail terms ranging from two years and three months to eight and a half years, Rede Angola reported. As the judges read out the verdict, one activist held up a sign with a photo of President Jose Eduardo dos Santos, who has ruled Angola for 36 years, describing him as the man who is dividing the country, according to photos published on Rede Angola. Another young activist, who was not on trial, was sentenced to eight months in prison for shouting that the trial was a farce. The book club member who wrote an unpublished essay on the book received the harshest sentence, said Angolan journalist Rafael Marques de Morais. "The activists have been wrongly convicted in a deeply politicized trial," said Deprose Muchena of Amnesty International. "They are the victims of a government determined to intimidate anyone who dares to question its repressive policies." "Seventeen young men and women have been punished for holding a book discussion about the non-violent resistance tactics of heroes like Mahatma Gandhi and Martin Luther King," said Thor Halvorssen of the Human Rights Foundation.